SeattleFoodTruck.com helps find and book Seattle’s best food trucks for any event! Whether it’s a birthday party, a corporate event, or even a wedding, we make finding and booking your favorite food trucks convenient and worry free! We are also the only website in the Seattle, Eastside and South Sound area that tracks, features and generally LOVES the mobile food scene. 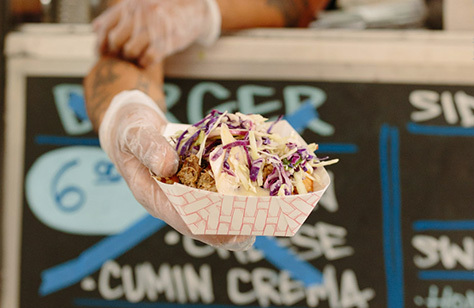 Headquartered in Ballard, SeattleFoodTruck.com is your one stop shop for street food fun! SeattleFoodTruck.com started in May 2011 and has grown just as fast as our busy food truck community. We have been featured in Seattle Magazine, mentioned in Seattle Weekly Voracious and has made an appearance on the KCTS show Pie. Most recently we were mentioned in USA today as #4 in a list of “Top 10 Foodie Spots in Seattle” and even featured in Giada De Laurentiis Magazine. 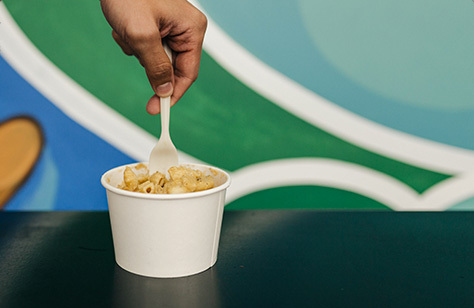 Not only do we help foodies and fans find Seattle’s favorite food trucks, but we also help cater events to some of Seattle’s biggest companies including Amazon, Microsoft, Expedia, T-Mobile, Comcast, ZipCar, Privateer Holdings, Tableau and more! 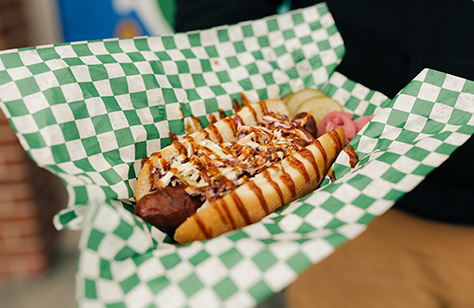 Bring Seattle's best food trucks to your next event!